E. Ray Moore is a solidly Taliban-style fundamentalist, theocrat and political activist (staff member for Pat Robertson’s campaigns in the 1980s, for instance) – in 2014 he even ran for governor of South Carolina. He is currently President of Frontline Ministries, Inc. and Director of the Exodus Mandate Project, author of extremist books like Let My Children Go (with his wife, Gail) and The Promise of Jonadab: Building a Christian Family Legacy in a Time of Cultural Decline, as well as – and perhaps most notably – Executive Producer of the documentary IndoctriNation. Moore’s main focus is the separation of church and state, which he doesn’t like, and in particular the fact that children in public schools aren’t indoctrinated with what he judges to be the correct version of Christianity. “IndoctriNation” concerns this allegedly destructive nature of the public school system, which Moore calls the “main culprit” when it comes to why young adults leave the church: Public schools are like “playing Russian Roulette with your children’s souls,” as Moore sees it. They are “godless and pagan by precept and design,” since they don’t follow his demand for “God in the math class and in the science class as much as in the Bible class.” Instead of letting children attend public schools, parents should do what the Bible demands of them: homeschool them or place them in Christian schools. 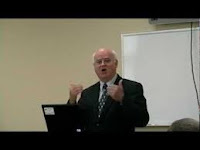 In 2006 Moore submitted a resolution to the Southern Baptist Convention urging an exit strategy from the public school system, arguing that Christians should not be exposed to any knowledge that doesn’t fit with what hethey already believe. His 2014 gubernatorial campaign also focused on his dislike for public schools, which are ostensibly causing a “silent holocaust” (like most screaming all-caps loons on the Internet Moore has a knack for lunatic, idiotic and tasteless turns of the phrase) in American churches by teaching evolution and homosexuality, warning that the curricula turn students, like a young Hillary Clinton, into anti-Christian “janissaries”. Instead, Moore urged the state to replace public schools with an education system led by “churches, families, and private association”. Moore cited studies purportedly showing that “80 percent of Southern Baptists youths are leaving the church and abandoning the Christian faith, and we think all of this is pretty much attributable to government schooling.” Surely having to deal with people like E. Ray Moore would have nothing to do with it. In 2017, Moore called for God to protect Trump from the demonic “Deep State.” Having evidently no clear idea what “deep state” purports to refer to (and in any case systematically confusing things and lumps in the stream of his own feverish imagination), describing it as some nebulous entity that is not loyal to the Constitution but representing “principalities and powers,” “demonic and Satanic forces” and “fallen angels”; accordingly, he also claimed that prayer would be an appropriate means to deal with the deep state. “We’ve got a man in the government who is a friend of God’s in a unique way in modern American history,” concluded Moore: God gave us a “miracle” in November 2016, heralding a new, great revival. Moore has also endorsed The New Geneva Christian Leadership Academy, which we have encountered before. Diagnosis: The Taliban envy is indeed strong among angry, afraid, delusional and hateful fundies. Apparently quite a number of people listen to this frothing lunatic, though his impact is hopefully relatively limited.